The Sherborn Old Town Hall was built in 1858 with a bequest from Thomas Dowse, a descendant of one of Sherborn’s founding families. His will provided for a Great Hall for town meetings, social events, and a School Room for higher education in the classics. Elbridge Boyden, a noted architect who also designed Mechanics Hall in Worcester, incorporated an Italianate style similar to other East Coast buildings at the time. The building rises two-and-a-half stories to a gable roof and cupola with a gilded weathervane. 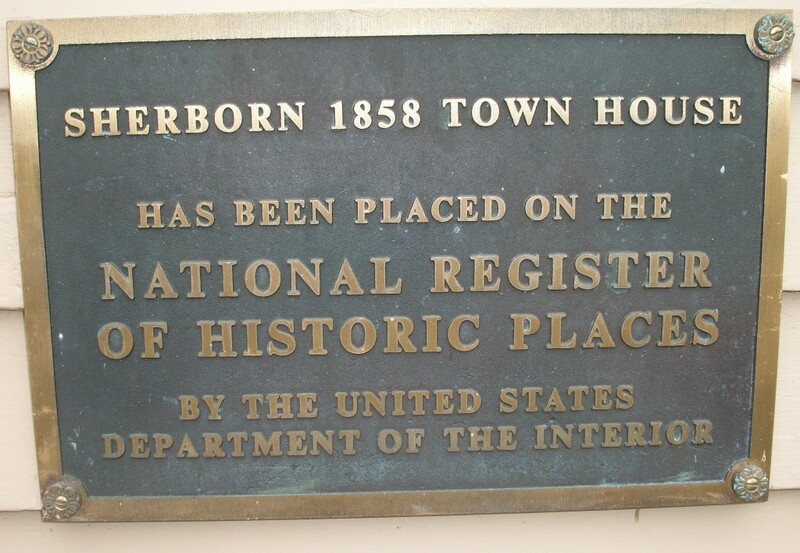 The Old Town Hall first served as Sherborn’s high school from 1859–1873 and for the next 100 years it was at various times the home of town government and many community social events until it fell into disrepair. 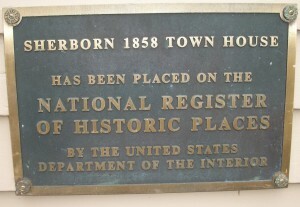 In 1985 town citizens created a non-profit foundation and restored the building to its 19th century glory. The original white embossed tin walls and ceilings were restored and painted and the exterior colors returned to their original hues. The original cedar-shingled roof was replicated. The cupola, a New England mainstay, was rebuilt, including installing a new copper roof and weathervane. Local artist Anita Sebastian painted a stylized mural depicting early Sherborn in the first floor School Room.